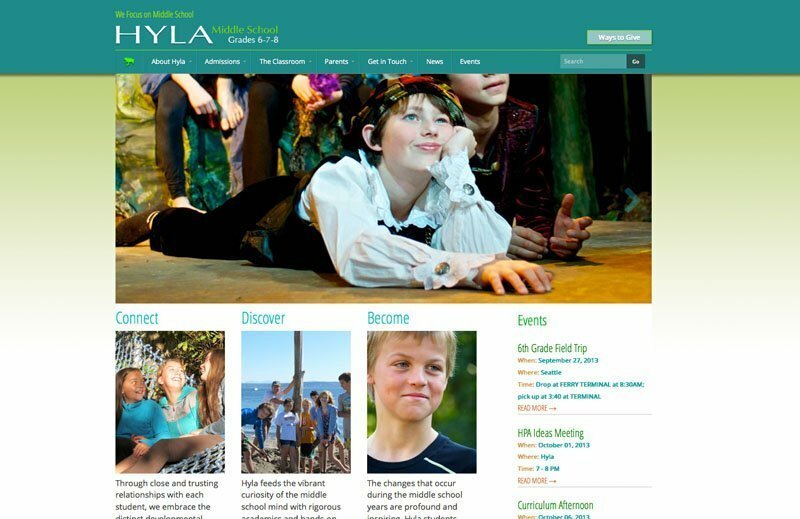 Hyla Middle School is an independent school with students from Bainbridge Island, Washington and surrounding communities. 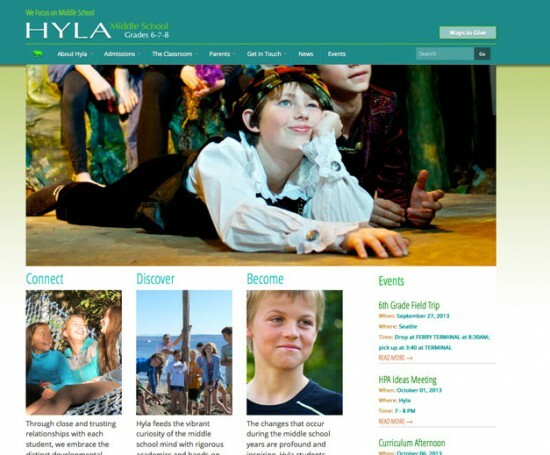 Hyla’s website should convey the vibrancy and nurturing personality of its educational environment. The site should function as a brochure, as well as a portal for parents and students within the community. Photos of engaged students were brought front and center. Existing graphics were used but I elaborated on the color scheme. I designed custom edit areas for events, designated private areas for parents, and built custom forms to survey alumni and take donations. This is my second generation of the site. In 2013, I rebuilt it to be a responsive site working equally well on small mobile screens and large desktop monitors.